The Ripley Light Marina is a beautiful and magnificent place to call home. Featuring luxury residences, artfully positioned along the water's edge, this neighborhood is a salt water paradise. 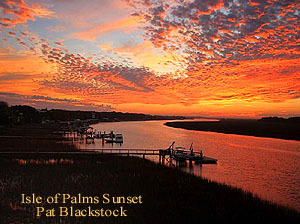 Residents can sit out on their porches in the evenings and watch the sun set over the harbor, while yachts drift inland before the backdrop of historic, downtown Charleston. Ripley Light Marina features a variety of living accommodations that is not customary in most neighborhoods. There are not only opulent, palatial, single-family residences to choose from, but buyers can also pick from a variety of three-bedroom condominiums if they wish to eliminate part of the burden of homeownership. Prices start the $500s for the condos and exceed $2 million for the stand alone houses. Regardless of the size of real estate purchased, each listing is outfitted with the finest quality fixtures. Shiny hardwoods line the floors in these homes and custom cabinetry matches up perfectly to granite counters and stainless steel appliances. Intricate molding and two-car garages are among the many other benefits of living at Ripley Light Marina. Owners take pride in their landscaping, which means endless curb appeal for all. The community maintains its own clubhouse and swimming pool for residents' leisure. Each home is provided deeded access to a nearby boat launch, as well. Just down the road is downtown Charleston, which is a doorway to the past. 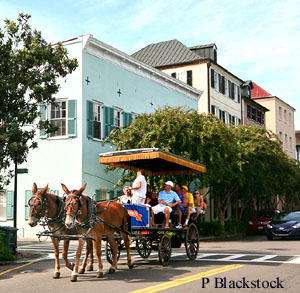 Stone streets, civil war monuments and horse-drawn carriages are among some of the many sights to see there. Fisherman and boaters can spend their days on the Ashley River, and those who prefer the ocean are delighted to only be minutes from famous, nearby beaches. Call us today to take a tour of the homes for sale in Ripley Light Marina.